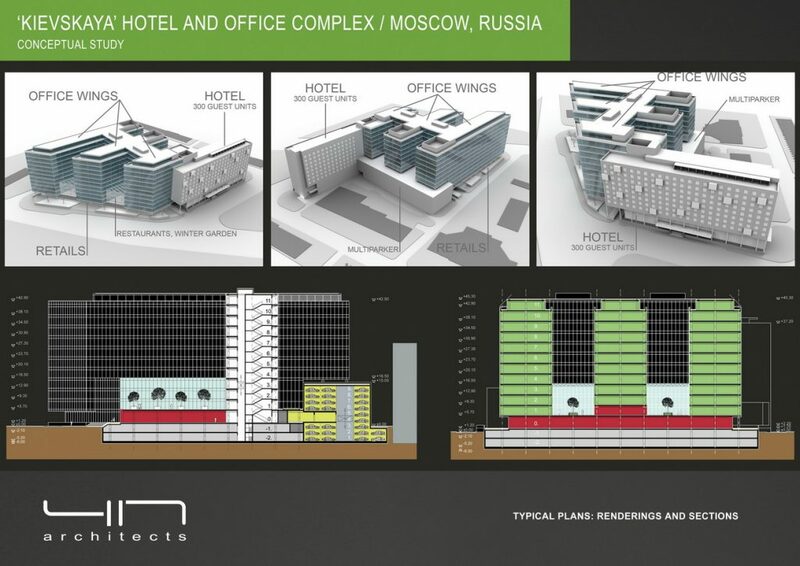 The building was designed in the center of the capital next to the Kievskaya Railway Station with 80 000 sqm gross floor area incuding 300 room hotel, retails, three-wing office building, fully automatized parking lot for 1000 cars. 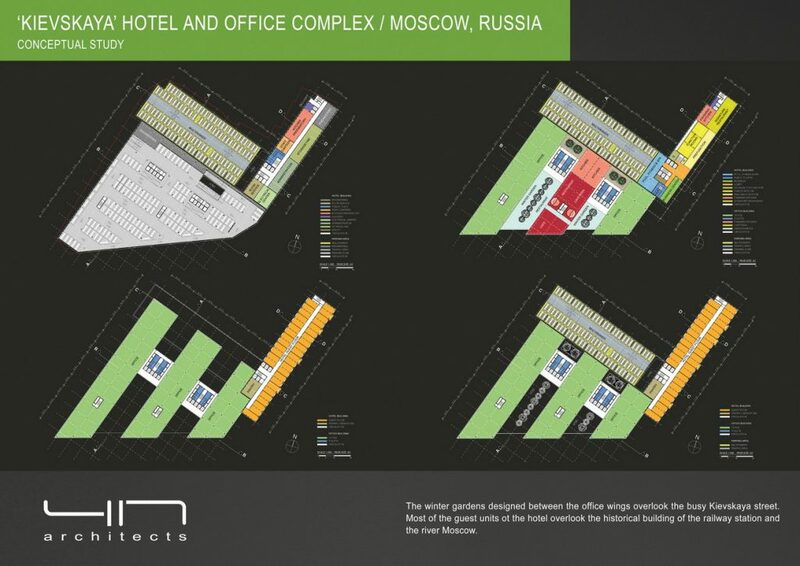 The winter gardens designed between the office wings overlook the busy Kievskaya street. 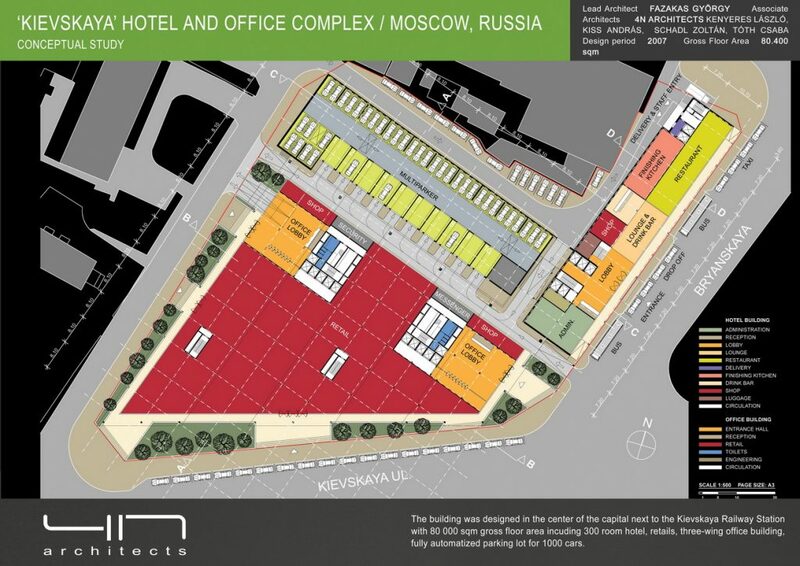 Most of the guest units ot the hotel overlook the historical building of the railway station and the river Moscow.